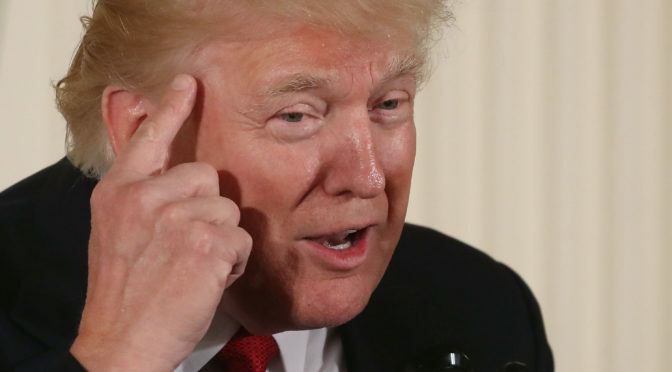 Earlier this month, Secretary of State Rex Tillerson was accused of calling President Trump a “moron.” President Trump responded that if he and Tillerson had an IQ contest, “I can tell you who [would] win.” More recently, President Trump bragged, “I went to an Ivy League college… I’m a very intelligent person.” As a person with an intellectual disability, President Trump’s focus on IQ feels very awkward. President Trump’s focus on IQ hurts people with intellectual disabilities. Many people see the word “moron” as just a generic insult. However, it used to be a diagnostic term during the era of eugenics. Back then I probably would have been diagnosed as a “moron.” Many autistic and intellectually disabled people were diagnosed “morons.” During that time, we were sterilized against our will and locked in institutions. People with intellectual disabilities are still greatly oppressed. IQ is very much connected to mental age theory, which I have written about before. Many of us are segregated in special classrooms where we are not allowed access to academic courses like history or science. Many of us are not allowed in higher education. Many of us are forced to work in segregated workshops where we are paid below minimum wage. We are paid pennies for our work because people believe we are not able to work at the same level as non-disabled people. President Trump’s IQ is not the cause of his harmful words and actions. I notice a lot of people on the left use IQ and insults like “moron” against President Trump too. People who want to criticize President Trump need to be careful not to promote ableism when they make jabs at him. Saying President Trump has low IQ or that he a “moron” doesn’t harm him. He’s the President of the United States and has millions of dollars. People with intellectual disabilities have been seen as naturally bad and negative because we communicate differently. Blaming President Trump’s bad actions on IQ nurtures negative ideas about people with intellectual disabilities. If you want to be an ally to people with intellectual disabilities, please don’t use words like “moron,” “imbecile,” or “idiot” in reference to President Trump or any other politicians you don’t like. Don’t say he has low IQ. Part of why President Trump has been able to go to university, start a business, and become President is because he was not stamped with an intellectual disability label at birth. Many of us have never even been allowed to dream about doing the things he has accomplished. I hope someday a person with an intellectual disability will be able to sit in the Oval Office. Having an intellectual disability does not make someone a bad leader. I want to live in world where people with intellectual disabilities are valued and included enough to be the President of the United States. I believe many people with intellectual disabilities would have more respect for political office and would never take it for granted. Thoughtful and insightful as always Ivanova. Thank you for that very interesting and thoughtful look at not only who WE are as people, but also who Trump is as a person. Have you ever thought about recording your little blog posts on line and then having them there for people who can’t read well, but can understand spoken word just fine, to be able to press the play button on there email? Well, if you like the idea, or something I said in my idea, maybe you should give Cheryl Green a email. She does stuff for people with disability’s all the time and would be a great person for you to get in touch with if you wanted to reach the audience for whom you discussed in your piece earlier. I look forward to hearing from you! I would LOVE to have audio for every article. Unfortunately, I am currently unfunded. To do audio, I would need to make some changes that are pretty expensive — increased hosting costs and audio equipment and software, for example. It is very close to the top of the “to-do” list once NOS has money to work with.